The subject line is arguably the most important part of any marketing email. If recipients find the subject line to be uninteresting or irrelevant, they won’t bother to open the email and read through it. An email’s subject should be clear, explanatory, and intriguing all at once. It should tell the recipient what the email is about and why they have received it while maintaining curiosity. Receiving an email like this forces people to read it just to find out how it is beneficial to them. Your email copy should eschew words like ‘we’ and ‘our’ in favour of ‘you’ and ‘your’. Most marketing email recipients are beyond the awareness stage of the buyer’s journey; they already know about your company, which makes extolling your brand’s virtues a futile and possibly a harmful exercise. 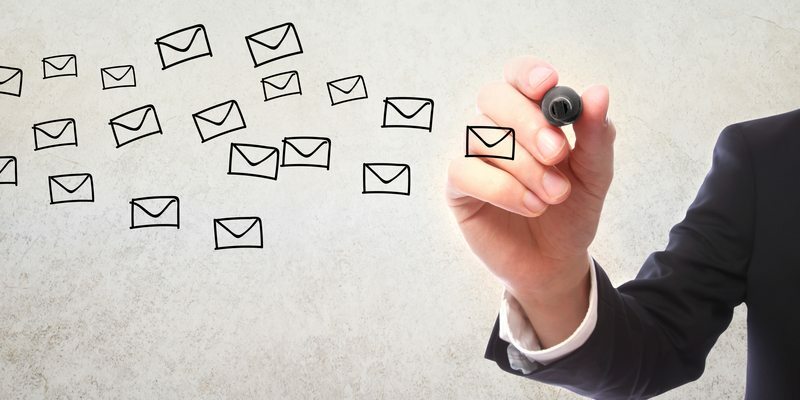 Personalising emails for each recipient is also a must for marketers. Including a person’s name and other relevant data they have shared with your company is a great way to make the communique sound more personal. Expanding on the previous point, marketing emails should be geared towards educating customers instead of selling. Highlighting the features and advantages of your brand’s product or service in an email gives it the appearance of a regular advertising gimmick. To avoid this, your emails should focus on the customers’ problems and how your business can help solve them. Adding testimonials from people who have used and liked your offerings is a great way to build trust among leads, who will then be more likely to purchase what you’re selling. Browsing through emails is never a leisurely activity. Most people do it to gather important information in the shortest possible time. And since marketing emails are never high on anyone’s priorities, it’s essential to keep them short and simple. Avoiding industry-specific jargon and complicated words, and making use of bullet points and short sentences, allows people to skim through the email and gather its purpose quickly. And if they like what they read, they’re more likely to follow through with your offer. Our speech changes with our social situation. Our vernacular among friends is different from that in a professional environment. Most marketers fail to incorporate this difference in the use of language while creating marketing emails. The tone you employ in an email should reflect your brand’s image (serious or fun) and vary depending on the target demographic. Business-oriented emails should maintain a professional tone while casual ones should make use of engaging and entertaining words and phrases. Your email copy should reflect exactly what your subject line promises. If your email’s intention is to generate more downloads for an e-book, the only clickable link (besides social sharing and forwarding buttons) should be a clear call-to-action that urges recipients to do just that. Including too many outbound links and irrelevant information in the email destroys trust among recipients, who might view it as spam and end up unsubscribing from future emails. Emails with an appealing design replete with visual content make for easier reading. Recipients consume textual information better if it’s accompanied by eye-catching images and icons. But going overboard with visuals can have a detrimental effect. Maintaining a minimalistic design with a limited colour palette is the ideal way to make an email more appealing to its reader. Incorporating these tips will invigorate your email marketing efforts and you’ll soon be able to observe them having the impact you desired.